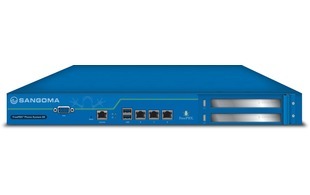 The Sangoma FreePBX Phone System 60 is licensed for up to 60 users allowing for a total of 40 simultaneous calls. This powerful hardware has an Intel Celeron Quad core processor with a 120GB Solid State Drive and 2GB of RAM. There are 2 PCI express slots on the appliance which allow users to add any telephony cards from Sangoma's range for PSTN connectivity.